Short Bio: Tom is the Chief Flight Instructor and Director of Coastal City Aviation. Tom has an extensive background in Aviation, and Business. His first aviation job was as a flight instructor at The Ohio State University in 1976. Throughout his career, he has worked as a charter, corporate and commuter airline pilot. He has also flown EMS and aerial application helicopters, and has had a lifelong interest in aerobatics. Among other achievements, Tom implemented and directed the original Grant Medical Center LifeFlight Helicopter program, which became MedFlight on the north side of KOSU in Columbus, Ohio. In addition to being the director of Coastal City Aviation, Tom flight instructs, and flies the Cessna Citation Sovereign at NetJets. Tom and his wife Cheryl have three daughters. Tom enjoys time with his family, friends, dogs and horses; and is active in fitness, shooting sports, scuba diving, kayaking and camping. Colonel Steve Clapp is a Certified Flight Instructor/Instrument at Coastal City Aviation, and a 27-year retiree of the United States Air Force. Steve earned his Glider and Jump Wings at the Air Force Academy, graduating in 1987. Upon Graduation, Steve went to Reese AFB to earn his Air Force Flight Wings and was selected to fly F-16s. Among assignments and combat deployments all over the world, including Korea and Germany, Steve attended, then instructed at the Air Force Instructor Weapons School and flew 150+ hours of combat missions in Desert Storm, Southern Watch, etc. 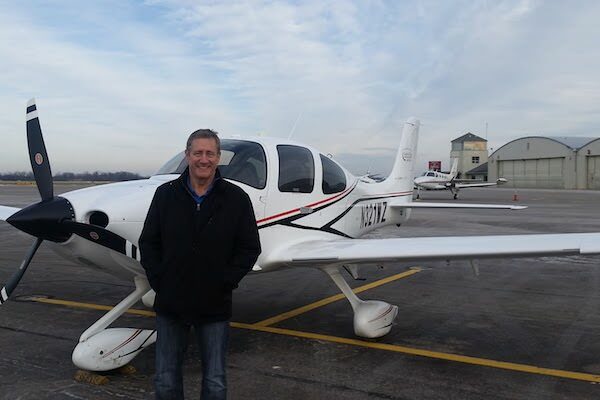 After retiring from the Air Force as a Command Pilot with almost 3,000hrs, he has chosen to continue his passion for flying in the General Aviation community. Steve and his wife Debbie have 3 children and love/lived the lowcounty lifestyle since 2015! Short Bio: Bayne graduated Georgia Tech with a BS and MS in Nuclear Engineering and worked for the Tennessee Valley Authority. A few years later he went to Medical School and has specialized in Interventional Radiology since then. He is currently a Professor at the Medical University of South Carolina. After a few short attempts at flying limited by time or money, he was finally able to pursue his love for flying about 10 years ago after the kids left home. Since then he has accrued over 1600 hours and become a flight instructor. He has been very active in the Civil Air Patrol where he is a Mission Pilot as well as a Check Pilot for C-172/182/G1000 trainees. For fun he and his wife are part owners in a Piper Lance which they frequently use to visit family in Kentucky and Tennessee. They also like to visit the Bahamas, Key West, and last year went to southern California and up to Seattle in the Lance. Bayne and Lynda have three children and two grandchildren. Short Bio: Flying is part of Brian’s DNA. He got the bug as a teenager after winning a free airplane ride on a seaplane in New Jersey. He then went to college and got his license at age 19 and has been flying ever since. 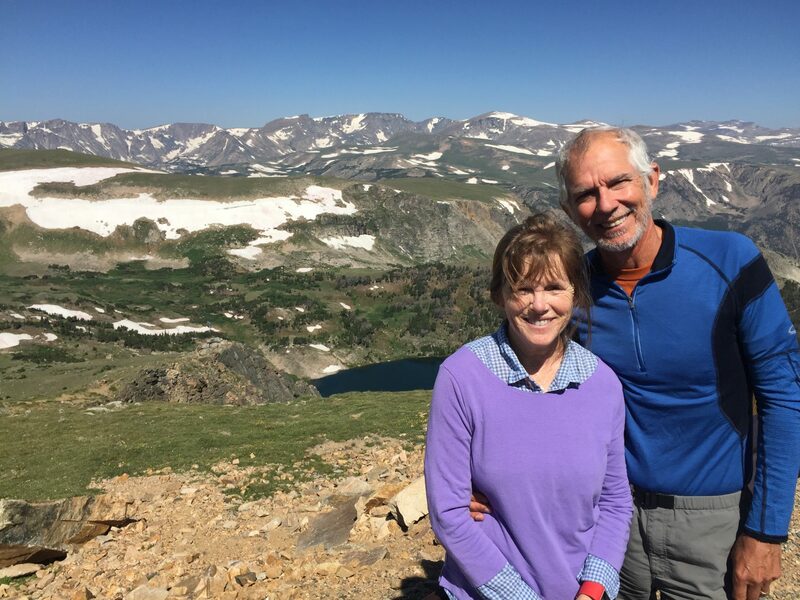 Brian’s activity was sidetracked by going to medical school and becoming a full practicing internist and Pulmonary specialist for the next 30 years. Along the way he acquired a natural talent for teaching and subsequently became a CFI and an aviation medical examiner. After retiring from medical practice over 5 years ago, Brian moved to the Low Country from Washington, DC and became a full time flight instructor teaching on Hilton Head and in Charleston, SC. 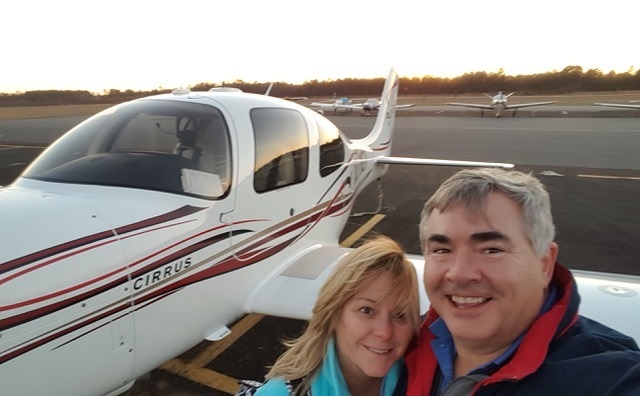 He became interested in Cirrus Aircraft in the late 1990s and have flown them and taught in them for over 18 years now and currently shares ownership in an SR 22T Cirrus and have accumulated close to 6000 hours total flying time. Brain continues to have a deep passion for flying, enjoys teaching, and is responsible for training all the TCIs at Coastal City Aviation. His teaching style includes customizing the training to the individual needs of the student pilot and to make learning to fly enjoyable and rewarding. In addition, he is also a member of the Low Country Civil Air Patrol. Short Bio: Leah discovered her love for aviation while working in SE Alaska at a floatplane company as a “tour girl” and eventually a dispatcher for the operation. She was able to fly in the legendary de Havilland Beavers and Otters during her time there. 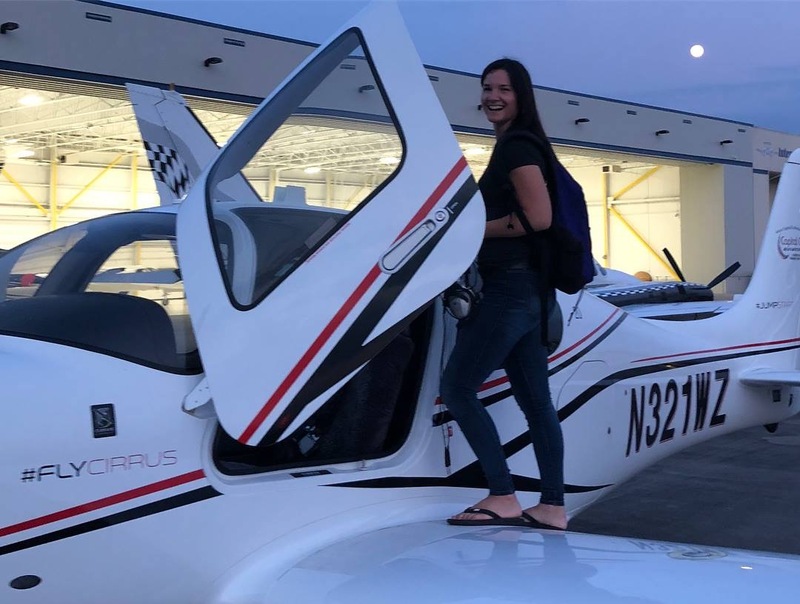 After years of passengers asking if she was a pilot or wanted to be, one day her answer changed from “no” to a resounding “yes!” Leah traveled to Osceola, Wisconsin to obtain her Private Pilot License and was able to partake in exciting adventures such as aerobatics and tailwheel flying! Eventually, she went down to Florida for her Seaplane Rating so she could engage more fully in flying beautiful Ketchikan, Alaska and has accumulated over 300 hours. If Leah could have any flying career out there, she would choose to be an aerobatic pilot or fly floatplanes from one sunny island to another. For now, however, she only flys for fun as she works toward a career as a Nurse Practitioner. Even though her goals are now centered in the medical field, aviation will always be apart of her life and have a special place in her heart. Short Bio: Kem has been associated with the aviation community all of his life. His father was first an aeromechanic during and after WWII and later a power plant service representative for Curtis Wright and Pratt & Whitney. Kem was exposed to aircraft throughout his youth. Every member of his family is a pilot. Kem was awarded a PhD in Geology and worked as a Professor of Geology and was the Director of the Graduate Program in Environmental Studies at the College of Charleston. Kem has been a registered SCUBA Instructor for PADI, NAUI and CMAS. He also taught fencing at the College of Charleston as was State Team Fencing Champion. 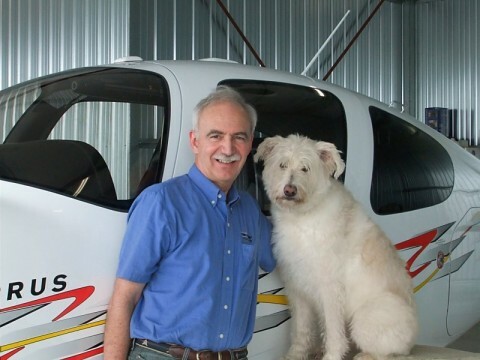 Now retired, he has pursued his passion for flying and is an Operations Manager at Coastal City Aviation Flight School. He is also associated with the Civil Air Patrol, the Auxiliary of the United States Air Force. He began his association with the CAP as a cadet earning the highest award given at the time, the coveted Certificate of Proficiency. He was the Cadet Squadron Commander and earned a rank of Cadet Lieutenant Colonel. l. As a Senior Member, Major Fronabarger has flown as a CAP pilot and has served as the Wing Professional Development Officer and Squadron Deputy Commander. 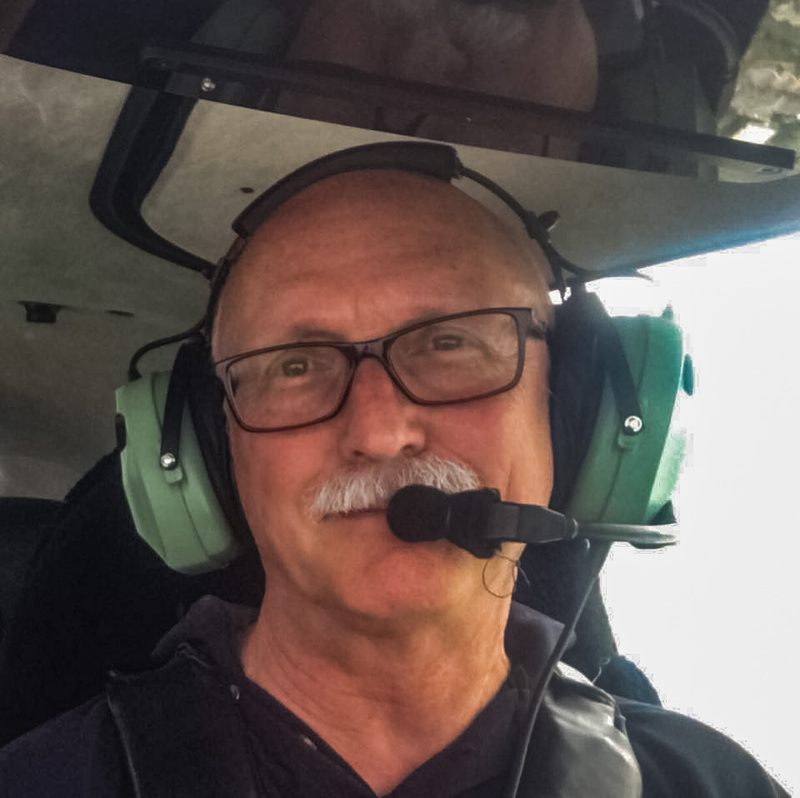 Kem earned his Advanced Ground School Instructor with the Federal Aviation Authority and actively teaches ground school for Student Pilots, Commercial Students and Certified Flight Instructor Students. In his spare time, Kem studies the Classical Guitar.